Combitherm: Solid surface materials, thermoforming materials, conventional materials, principally all commercial adhesives can be used. Vacuplus: All commercially available veneers, decorative laminates, PVC, PET, ABS. 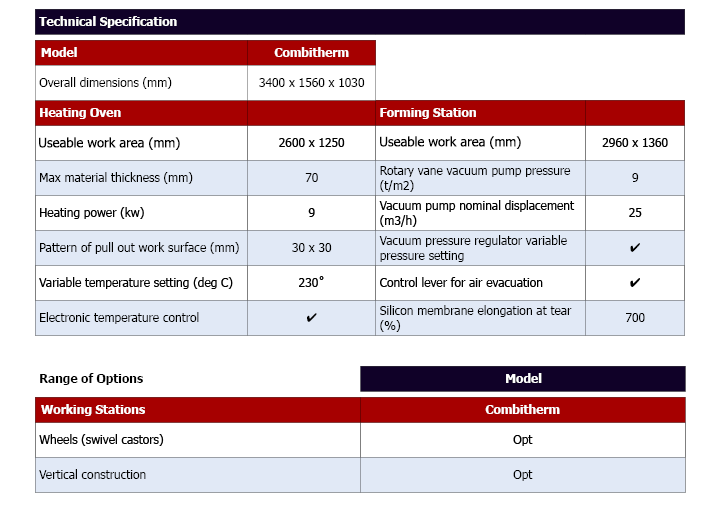 Principally all commercial adhesives can be used. Options are available for different applications including the pressing and bending of acrylics. 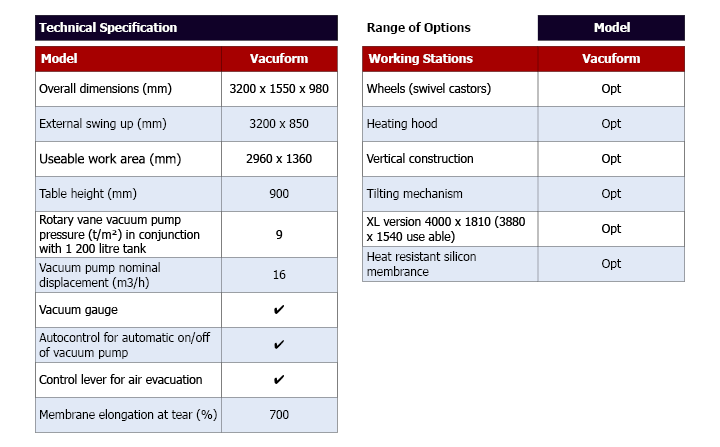 The introduction of additions such as heating hoods can enhance the pressing time to give a flexible system for most applications.